Brick Issues normally arise while trying to perform different operations on our Samsung Galaxy A3, i.e : after Rooting, Flashing Firmware, Stock ROMs, Custom ROMs etc. This is usually the Soft bricking where by the Samsung Galaxy A3 went on Bootloop, being unable to Boot, like in my case, after rooting successfully, upon restart it shows the Samsung Galaxy A3 Logo with Powered by Android beneath, seconds later it Freezes and turns White with colors and dots....and that was the End. It goes Blank again. I tried Downloading and ReFlashing with another Firmware but where the firmware was almost Installed, I got Errors "Volume size too big ODIN: Invalid ext4 image"
According to my understanding after research, this Firmware flashing error occurred because my Galaxy A3 Device was Region Locked. Yet the case remains that the device can't boot up, I needed to Wake up the Bricked Galaxy A3 device. Unbricking it was later successful with a simple patch I used. It should work for you if your device has anything similar to the above. Here's How to Fix Your Soft Bricked Galaxy A3 when It Refuses to Boot On. b. 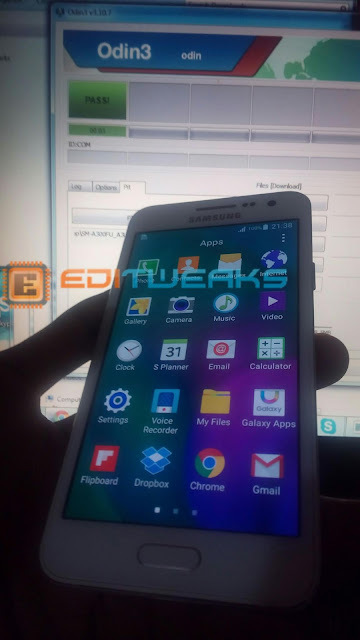 - The correct PIT File for Galaxy A3. 3. Press Volume-Up Key to Enter Download Mode. 5. Odin Should Detect the COM Port number to which your device is Plugged in. If it doesn't close and reopen the Odin. Click the PIT Box and click Ok when a confirmation Prompt Pops up. 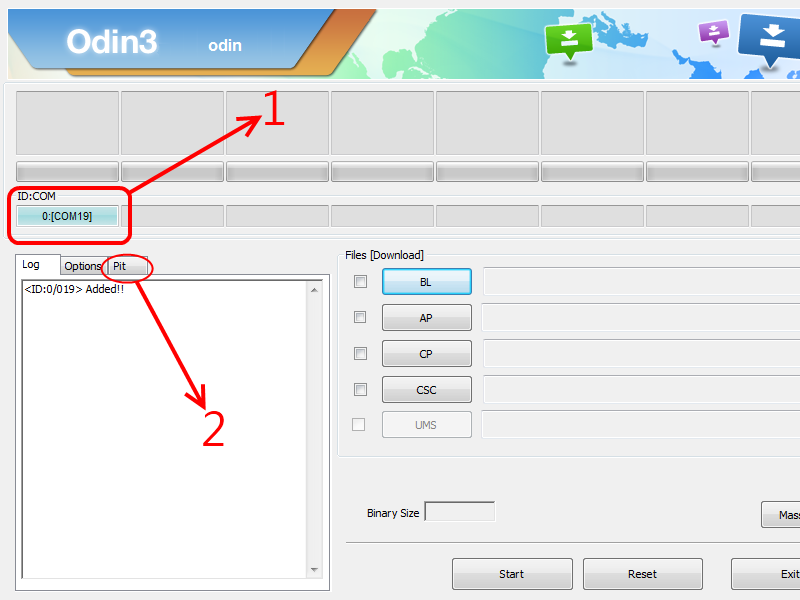 Locate where you Unzipped the Pit File you downloaded earlier. Now move down and click START. This is a very small file so it should take just a second to install. You Immediately Get "PASSED" shown on Odin3. Your Samsung Galaxy A3 will reboot and Brick will be Fixed. Hope this Works for you, any Questions or Additions, Our comment form is Open for you. I use Galaxy A5, and am enjoying it.. Thanks bro.. Keep it up..
my Samsung A3 been unbricked using the above method but it's now stuck on SAMSUNG splash screen. Hi, can you please assist? Im a complete newbie with customs, I rooted my sm_a300fu on 5.0.2 & it was working perfectly for about 8 months. Then I attempted xposed installer, and now my device is ? Bricked? Refuses ALL KEY COMBO's, no way to boot into recovery OR Odin/download modes. Its stuck on samsung logo, power + home + vol down lets it restart, shows samsung logo, then vodafo screen, and again another samsung logo - and there it stays. I struggle with ADB on pc, I just get nowhere with it, but I do have Odin 3.10.7, the pit file you mentioned and the samsung drivers. Device had custom recovery,just not sure where to confirm which one.